Photo: Offerings at Tirta Empul, Ubud. It's a much smaller menu than you'll find at those other health-conscious cafes and the focus is on great juices, a few sandwiches and a couple of other dishes. It's the simplicity that differentiates it and you'll find that the clientele here are not as over-the-top either. 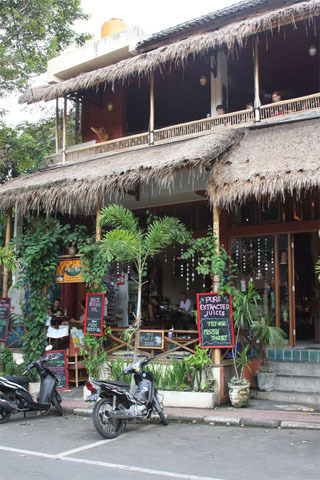 The staff are friendly, the WiFi is free and the food and juices are delicious.